French startup Wisembly just raised $2 million (€1.5 million) from Alven Capital. It’s the company’s first round of funding after three years of existence. 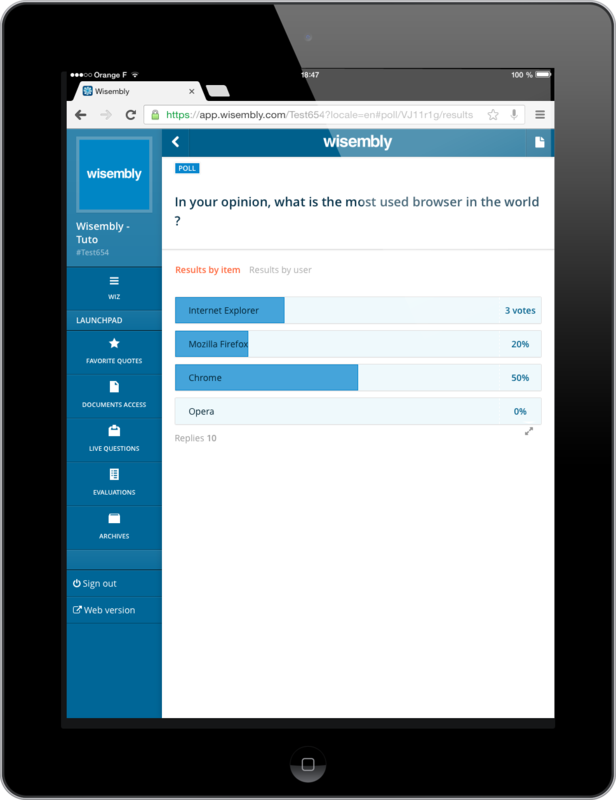 Wisembly wants to be the only tool you ever need to keep track of and streamline your meetings in your company. In other words, Wisembly is an all-in-one platform to assist you when you are leading a meeting — it costs between $13.50 and $27 (€10 and €20) per user per month. 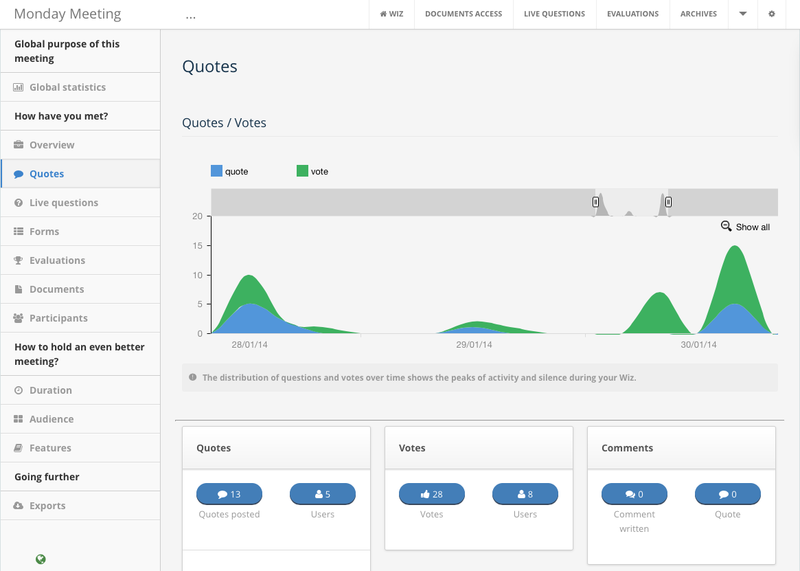 To prepare your meeting, you can upload documents, create a poll and more. Then, your meeting attendees receive a link and can interact. Finally, when the meeting is over, you can keep track of past meetings. You get an overview of what happened over time, or you can see what the most important part of the meeting was based on likes or comments. You can also see if it was an effective meeting based on various metrics. Meetings are an important pain point in big companies — they drag on, and only a few can speak up. Wisembly wants to fix that, and it works. BNP Paribas, Accenture, SNCF, Danone and around 400 other companies already use the platform. In 2013 alone, Wisembly generated $2 million in revenue (€1.5 million). For now, the company focuses on meetings of 20 people or more. But the idea is to keep lowering the bar to enter the market of small businesses — it’s a more fragmented but bigger market overall. With today’s funding round, the company will hire a dozen people to accelerate customer acquisition.